Now Trump has gone full Nixon. Trump finally fired his whipping boy, Jeff Sessions and, while we may forget it because he's become a National joke, thanks in large part to the way Trump has demeaned him for two years, he is/was the Attorney General of the United States of America and firing him is a big deal. 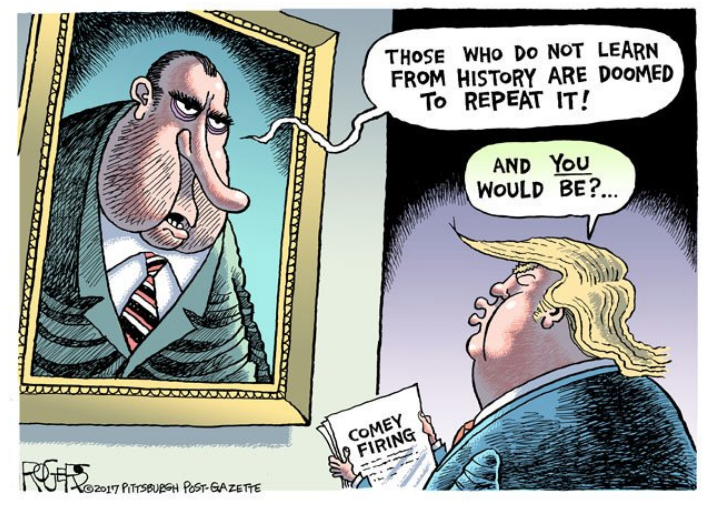 And Trump's reasons for firing him are very similar to Nixon's reason for firing AG Archibald Cox in the summer of '73 -- to derail an investigation into the President's corrupt dealings. World Patent Marketing promotional videos and photos show Mr. Whitaker reviewing invention ideas with the company’s founder, and the FTC included in court exhibits an email from Mr. Whitaker acting on behalf of the company and threatening a customer who complained with potential “serious civil and criminal consequences.” The August 2015 email was reviewed by The Wall Street Journal. Usually something like that in an attorney's past would immediately derail any chance they had of becoming the Attorney General of the United States of America but this is the Trump Administration where consumer scams, tax frauds and sexual harassment are resume highlights for those who serve the President. None of that matters today. It took a full year for Nixon to finally resign after his "Saturday Night Massacre" so firing the AG was an effective strategy that bought Nixon another year before he finally fell as he had the US Justice Department (on his side) and was able to ignore subpoenas for tapes, etc. for quite a while. And, don't forget, the Republicans in the Senate and Congress finally got Fed up with Nixon while the current GOP Senate pretty much has Trump's back so it's likely going to take an election to remove Trump at this point - even if Mueller does get to finish his investigation (now doubtful). 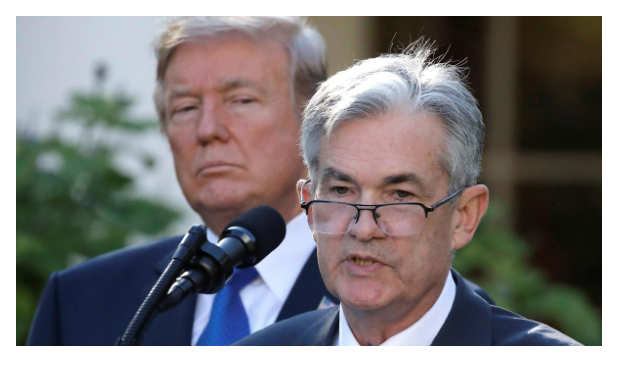 Still, Trump hasn't been bad for the markets so now it's up to the Fed to keep the party going and we have a rate decision from the FOMC at 2pm this afternoon and Powell has become another whipping boy for Trump to blame his problems on and it's not that likely he will stand up to the President and raise rates now that he's seen what Trump is willing to do to those that displease him. Nothing has really changed in the markets and we're still fundamentally overbought and that mild correction hasn't changed anything nor did earnings justify higher values than the very high ones we're already trading at so generally, we remain well-hedged - certainly into today's Fed decision and then over the weekend while Trump is possibly going to have Whitaker fire Mueller or curtail the investigation which would then lead to a not-yet-in-control-of-congress Democratic meltdown.